French soldier, diplomat and police minister René Savary, the Duke of Rovigo, has the reputation of being one of Napoleon’s most bloodthirsty aides. Though Napoleon could, and did, count on Savary to carry out any number of dark deeds, Savary was not by nature an evil person. He seems to have been motivated by a desire for wealth and by a genuine devotion to Napoleon. Savary’s involvement in the death of the Duke of Enghien meant that he was not trusted by the Bourbons after Napoleon’s defeat. He was later rehabilitated for a brutal stint as commander of the French forces in Algeria. Anne Jean Marie René Savary was born on April 26, 1774 in Marcq, a village in the Ardennes department of northern France. He was the third son of cavalry officer Ponce Savary and his wife, Victoire Loth de Saussay. Savary’s mother died when he was seven, leaving the boys to grow up under their father’s rigorous discipline at the château de Sedan, a medieval fortified castle. Savary’s oldest brother was at the military school at Brienne at the same time as Napoleon. He also served with Napoleon as an artillerist in the regiment of La Fère. René Savary was educated at the College of St. Louis in Metz. In 1790, at the age of 16, he joined the French cavalry regiment in which his father had served. He immediately saw action in the suppression of a mutiny at the garrison of Nancy. Savary fought in several campaigns of the French Revolutionary Wars. Although the troops that were in Egypt had been long inured to danger…every one present at the battle of the Pyramids must acknowledge, if he be sincere, that the charge of those ten thousand mamelukes was most awful, and that there was reason, at one moment, to apprehend their breaking through our formidable square, rushing as they did upon them with a confidence which enforced a sullen silence in our ranks…. General Desaix was killed at the Battle of Marengo in Italy in June 1800. Savary retrieved his body and broke the news to Napoleon. I found the general stretched upon the ground completely stripped of his clothes, and surrounded by other naked bodies. I recognised him, notwithstanding the darkness, owing to the thickness of his hair, which still retained its tie. I had been too long attached to his person to suffer his body to remain on this spot, where it would have been indiscriminately buried with the rest. Impressed by Savary’s loyalty to his commanding officer, Napoleon made Savary his aide-de-camp. In 1801, René Savary was appointed commander of the elite gendarmes guarding the First Consul. He became a friend of Napoleon’s family. Savary was frequently invited to Josephine’s country estate of Malmaison, where he played in theatrical productions. On February 27, 1802, Savary married Marie-Charlotte-Félicité de Faudoas-Barbazan de Segnanville, a 17-year-old classmate of Josephine’s daughter Hortense. Like Josephine, Félicité was a Creole, born in the French Caribbean. The couple went on to have seven children: Hortense Josephine (born in 1802), Léontine (1804), Louise (1807), Marie Charlotte (1811), Napoléon Marie René (1813), Anne Charlotte (1814), and Marie François Tristan (1816). Neither spouse was faithful. One of Savary’s mistresses was Madame du Cayla, later the mistress of Louis XVIII. Félicité also had a lover, Sébastiani, who is believed to have fathered her youngest son, the writer and adventurer Gustave Aimard. In 1805, René Savary, now a general, returned to the battlefield as Napoleon’s aide-de-camp. He undertook special diplomatic missions for Napoleon and organized a ring of spies for him. Savary was at the Battles of Austerlitz and Friedland. He assured the security of Warsaw, was named governor of Konigsburg, and in 1807 became an envoy extraordinaire to St. Petersburg. Upon returning to Paris, he returned to the elite gendarmerie. Savary accumulated a fortune as Napoleon rewarded him handsomely for his services. “He is a man,” said Napoleon, “that one must continually corrupt.” (6) At the same time, Napoleon knew that Savary would refuse him nothing. In 1808, Savary was named Duke of Rovigo. That same year Savary was sent to Spain, where he helped Napoleon remove the Spanish Bourbons from the throne. René Savary, with Charles Lallemand, was interned for several months at Malta. He escaped in April 1816, apparently with the English government’s agreement, and went to Turkey. On December 24, 1816, he was condemned to death in absentia by a French court. Savary wrote to Austrian Foreign Minister Clemens von Metternich asking for asylum. He reminded Metternich that he had been of assistance to Napoleon’s wife, Marie Louise, who was the daughter of Austrian Emperor Francis I. Savary was granted permission to live at Gratz in Stiria, where his wife visited him. French authorities became alarmed, however, when they heard rumours that Savary might be plotting to try to place Napoleon’s and Marie Louise’s son, the King of Rome, on the French throne. Austria acceded to French demands to expel Savary. In June 1819 he moved to London. Meanwhile Savary’s wife had been trying to obtain a reversal of her husband’s sentence. In late 1819 Savary returned to France and surrendered. He was tried in a court-martial on December 27, 1819, and was found not guilty. There were probably negotiations between him and the French government to allow his acquittal in exchange for an agreement not to publish his memoirs. In light of Savary’s relationship with Madame du Cayla, these could have compromised King Louis XVIII as well as others. Savary settled with his family on his estate at Nainville, outside of Paris. Not content with saving his neck, Savary thought he should be able to reclaim his previous privileges as a French officer. Instead he was put on half pay and transferred to reserve duty. Concerned about his diminished fortune, Savary pestered members of the royal administration who had served with him during the Consulate and Empire. He wanted full reintegration into the army and a dignified command. Madame du Cayla intervened on his behalf. 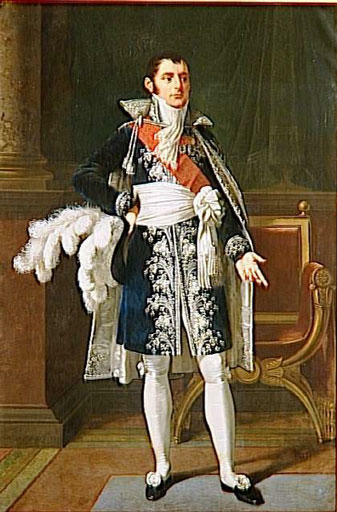 Savary was granted several audiences with Louis XVIII, who was interested in finding out whether Savary could tell him anything about liberal or Bonapartist plots against his rule. As you will see in Napoleon in America, Savary may have been playing both sides. Savary thought his turn had come when France was getting ready to intervene in Spain in 1823. He imagined that the French army had need of his knowledge of the country. He wrote to the Minister of War seeking a commission. The response was a polite refusal that invoked both the memory of the Duke of Enghien and Savary’s role during the Hundred Days. Savary persisted, pressing Prime Minister Villèle, to no avail. Though friends advised him not to, in the fall of 1823 he published his account of the Enghien affair. This excused both himself and Napoleon. He blamed Talleyrand for the Duke’s death. Talleyrand rallied Louis XVIII to his side, and the king forbade Savary from entering the Tuileries. In December 1823 Savary was permanently retired from the army. After a year in Italy, Savary and his wife returned to Paris after the July 1830 Revolution. Charles X had abdicated, and the new king, Louis-Philippe, did not hold the senior Bourbons’ grudge. Savary again asked to be reintegrated into the army. In December 1831 Savary was named governor of the French possessions in Africa and commander of the occupying army in Algeria. He quarrelled with his subordinates and ruled as a despot. In 1833, Savary, a heavy smoker, developed a sore throat that turned out to be cancer of the larynx. He lost his voice and returned to France, where he died on June 2, 1833. René Savary is buried at Père Lachaise cemetery in Paris. There is no biography in English of René Savary. Thierry Lentz has written a fine one in French: Savary: le séide de Napoléon (Fayard, 2001). You can read extracts of Savary’s memoirs (in English) on the War Times Journal website. His full memoirs are available for free on the Internet Archive. Anne Jean Marie René Savary, Memoirs of the Duke of Rovigo Illustrative of the History of the Emperor Napoleon, Vol. I (London, 1828), p. 6. Thierry Lentz, Savary: le séide de Napoléon (Paris, 2001), pp. 120-121. Neil Campbell, Napoleon at Fontainebleau and Elba (London, 1869), p. 295. Paul de Rémusat, ed., Mémoires de Madame de Rémusat, Vol. II (Paris, 1880), p. 245. “Buonapartiana,” The Gentleman’s Magazine and Historical Chronicle, Vol. 85 (London, December 1815), p. 517. Charles Tristan Montholon, History of the Captivity of Napoleon at St. Helena, Vol. 1 (Philadelphia, 1846), p. 113. Barry E. O’Meara, Napoleon in Exile; or A Voice from St. Helena, Vol. I (New York, 1853), p. 163. Memoirs of the Duke of Rovigo, Vol. IV, pp. 185-186. Mémoires de Madame de Rémusat, Vol. II, pp 245-247. I am not sure why you wrote that “In 1808, Savary was named Duke of Rovigo. The only other person Napoleon ever honoured with a dukedom was Caulaincourt, who became Duke of Vicenza.” By the middle of the summer of 1808 almost all the marshals and a few superlative administrators had been awarded ducal titles: Massena/Rivoli, Ney/Elchingen, Lannes/Montebello, and the list goes on and on. Savary and Caulaincourt, both of whom were Imperial DCs and generals at the time, received ducal titles attached to provinces, rather than as battlefield commemorations, but that was also true for Oudinot and Marmont, for example. Of course, I also agree that no one could have saved Enghien and, from a purely subjective historical POV, I’ve never shed a tear over him. Thanks very much for the correction, Margaret. I’ve updated the post. “legitimate” people, therefore it was all right. Prejudice is forever present when confronting Napoleon. If you describe Savary as being ” one of Napoleons most bloodthirsty aides” and write of ” dark deeds”,I wonder what exactly you mean by that,as you do not elaborate. Savary was less delicate than Fouche in carrying out orders or indications but what exactly do you mean by “bloodthirsty”? The execution of the Duc D’ Enghien has been commented on copiously by all kinds of Historians, mainly by Napoleon-haters, of course, so that is nothing new. As concerns Mme de Remusat, that spiteful lady did not leave behind any positive remarks about Napoleon, or his reputation, for posterity-for whatever reason. Her testimony must be considered with scepticism and doubt. I wonder how much of her memoirs are to be considered authentic or true. They are usually quoted mainly by Napoleon-haters, who revel in the negative character portrait that she draws of Napoleon. Thanks for your comments, Irene. Although I refer to Savary as having “the reputation of being one of Napoleon’s most bloodthirsty aides,” I try to indicate in the post that he was not as bad as some of his contemporaries made him out to be. As you note, his reputation was greatly affected by the Enghien affair. It would have been better to give Enghien a fair and public trial. I don’t know if there was much evidence he was NOT guilty. I have never shed a tear for him; I think of all the awful things that happened to men, women, and children during the 1789-1815 era, before it, and since. Napoleon found himself in a nest of vipers, in comparison with whom was a noble man. By the way, I wonder if anyone knows whether Napoleon actually said, “Men must be very bad if they are as bad as I think they are”? I seem to remember reading this somewhat but I can’t locate where, so am not sure if I really did read it. Thanks for the article, Shannon. You’re most welcome. Thanks for your comments. I haven’t come across that particular quote, but Napoleon may well have said it. The said quote by Napoleon is usually ascribed to the St.Helena period.I would have to look it up and go hunting for the quote. The fact that it is ascribed to him does,of course,not prove that he actually said it. So many quotes in History are attributed to people who never said any such thing, and these quotes are then used by Historians according to their bias. And there is another problem: Historians tend to forget that historical personalities are human beings who have their good and bad moods just like everybody else – what they say is then given more weight than the quote deserves because they are prominent.There is a wealth of other sayings by Napoleon, quoted in the reliable eyewitness literature, that show a lot more differentiated appreciation of human nature. Anyway, thanks to all of you for your opinions. I agree with the statement that Napoleon found himself in a nest of vipers,in comparison with whom he (I presume that is meant) was a noble man. Talleyrand was one of the vipers, that is for sure. Napoleon himself was not a bad-intentioned man, in my opinion. Basically. The d’Enghien case has been put forth in many variations, so the argument will presumably go on. At least Napoleon did not shove the responsibility on to others: in a supplement to his testament, a short time before his death, he stated precisely that he thought that d’Enghien’s execution was for the good of France at that point and that, under similar circumstances, he would do the same again. He loved the Emperor with all his heart, and with such affection, that I can compare it to nothing else than that of a dog for his master.